Pioneer DJ expands its family of Serato DJ Software controllers with the DDJ-SZ, its flagship model that strongly emulates the look and feel of Pioneer’s world-renowned CDJ digital players. The DDJ-SZ is designed for the serious “controller” DJs who are inspired by the performance specifications of Pioneer’s professional DJ products but also want the convenience of an all-in-one system. 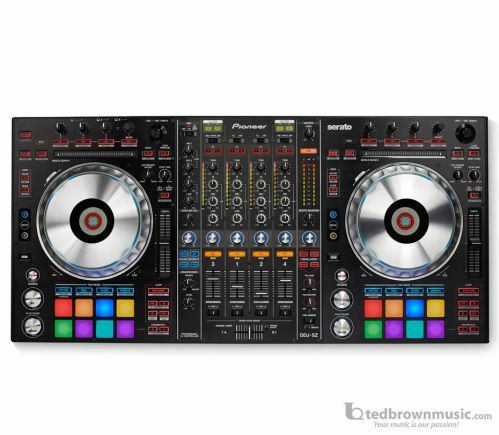 The new controller is 35 percent bigger than the widely popular DDJ-SX, sporting additional functionalities and features including extra large JOG wheels (the same size available on CDJ players), large performance pads with multi-color illumination, DJM style mixer, dual USB ports and a MAGVEL cross fader.